Terroir : Plot selection on clay and limestone-stony scrubland. Vinification and aging : After a total de-stemming, the fermentation period is during over five weeks, in concrete tank. Then 30% of this cuvée was aged in demi-muids for 14 months. Tasting : His robe has a dense colour, with violet hues. His nose is dominated by of ripe fruit notes a bit compoted. We can notice the presence of a subtle woody note.The mouth is ample, tasty with elegant tannins, characteristic of this millésime. 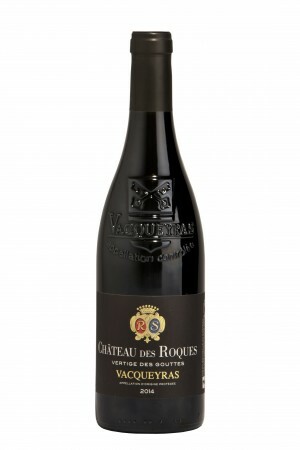 Balanced and solar, this wine “Vertige des gouttes” is a very elegant Vacqueyras. Alliances dishes : Rib of beef – Chocolate cake. – Silver Trophy of the Raimbaut’s competition of the Jury Wine Consumer in Vacqueyras, 31th edition. – Silver Medal of the Wine Competition of the Vignerons Indépendants de France, in 2018.